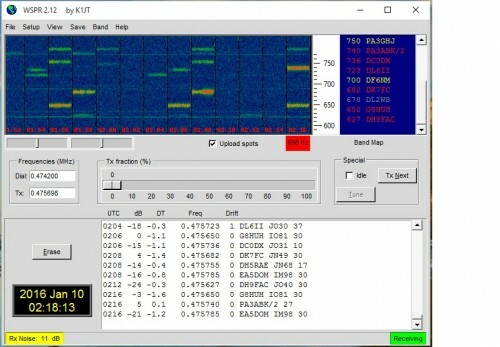 Having played around with the Wellbrook loop on 7 MHz the other evening I decided to try some 472 kHz reception on WSPR. 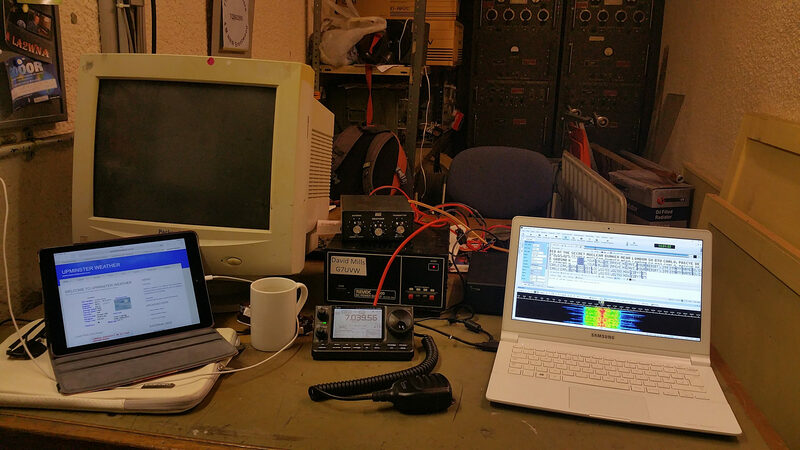 I had never tried 472 kHz before, as the combination of local noise and poor antenna has always put me off. 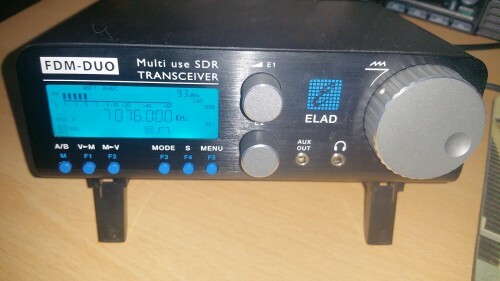 The Elad FDM-DUO seems quite sensitive down to 100 kHz (the specifications says 10 Khz), and coupled with the Welbrook this seems to work really well. 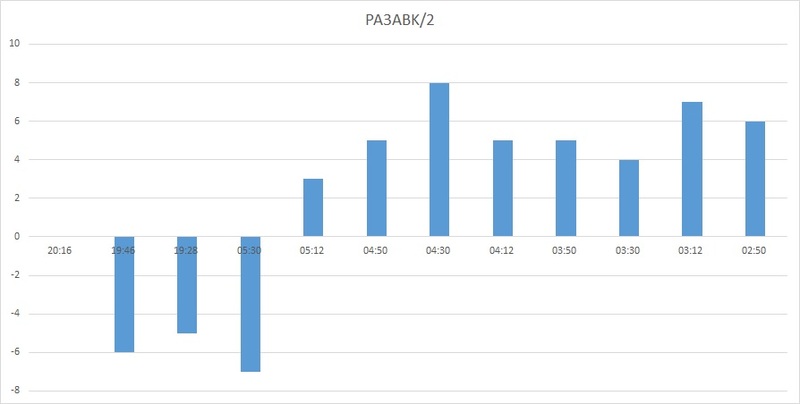 The signal to noise ratio of received stations has improved dramatically, and the screen was soon populated with stations all over Europe. 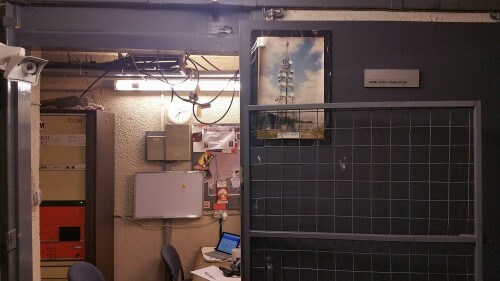 The Elad also has 2 antenna sockets on the rear, one is configured as RX only, and the other TX/RX. Although I didnt transmit this type of set-up works well if you intend to use a separate receive antenna. 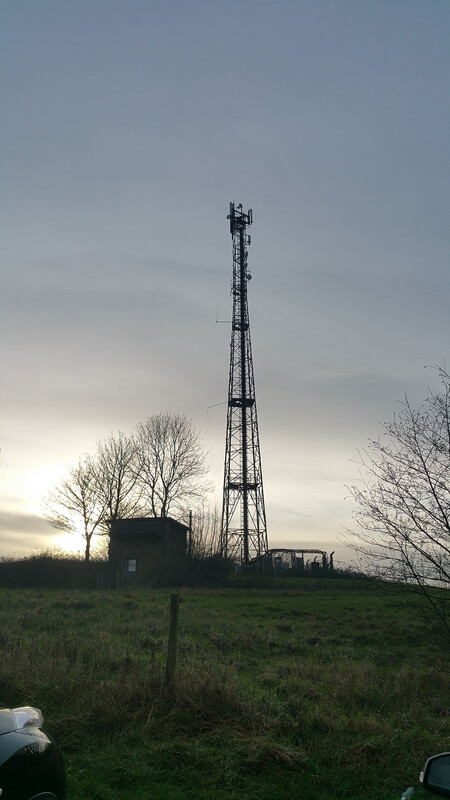 Radio user completed a review of the Wellbrook antenna, and you can read that on-line. 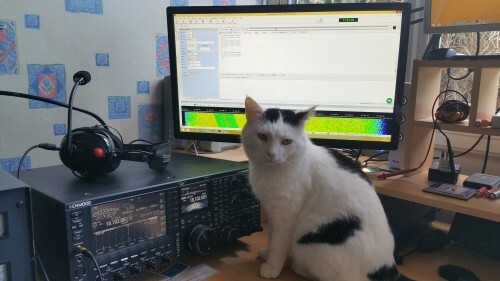 The Elad is a QRP radio that works on all HF bands from 1.9 MHz to 50 MHz with power selectable from 0.3w to 5w. RADCOM did publish a review in March 2015, available for members to read. Its a SDR that can be run standalone, and works like a normal radio with a front panel and VFO or connected to a computer. 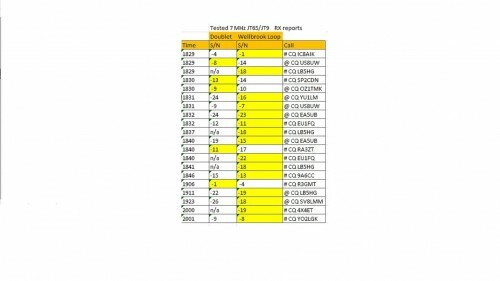 Dial freq for WSPR is 474.2 USB. Using software available free from Joe Taylor K1JT. 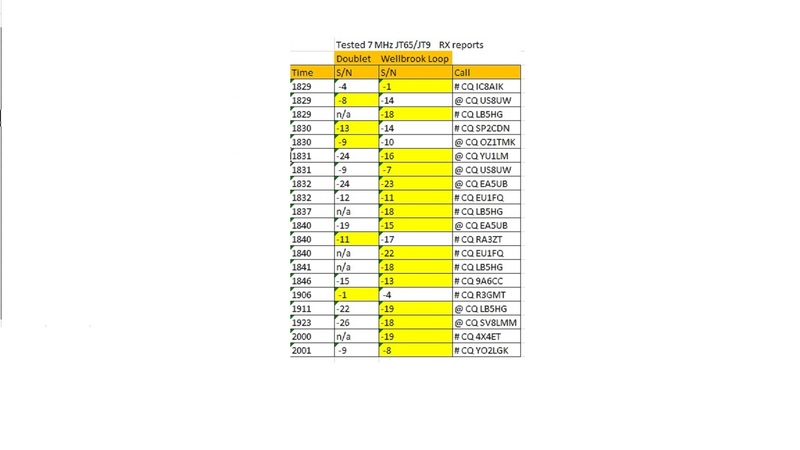 Here is a screen shot showing stations received. 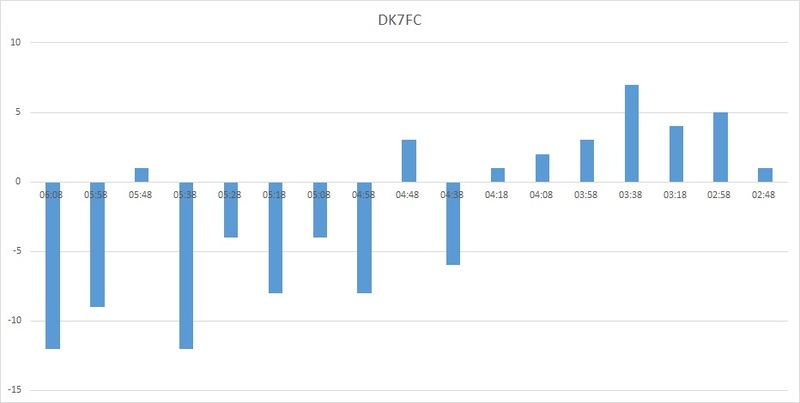 Graphed data DK7FC signal v time.